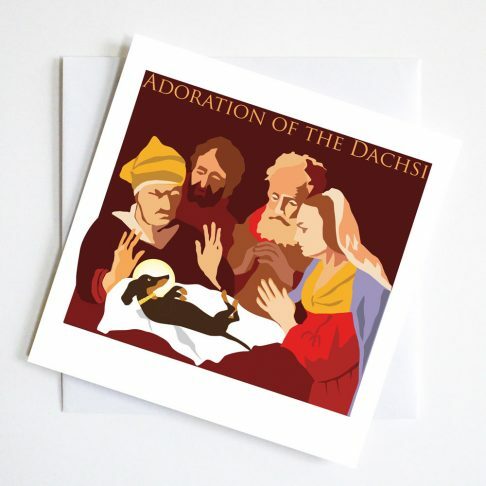 Frida Christmas card leads every Dachshund fan to pay seasonal homage to our heroine of Art. 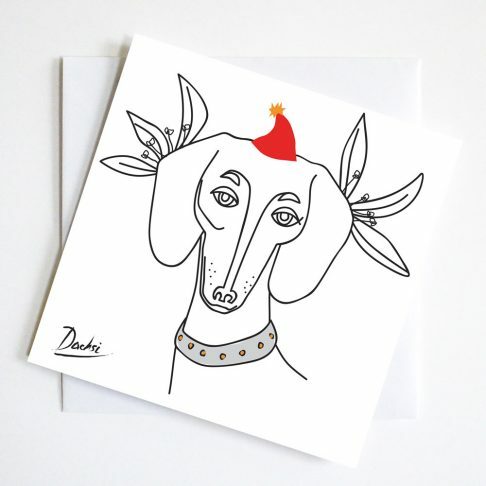 With the addition of two little dachshunds with Xmas hats she is ready to party. Paper chains around her neck and baubles at her ears. 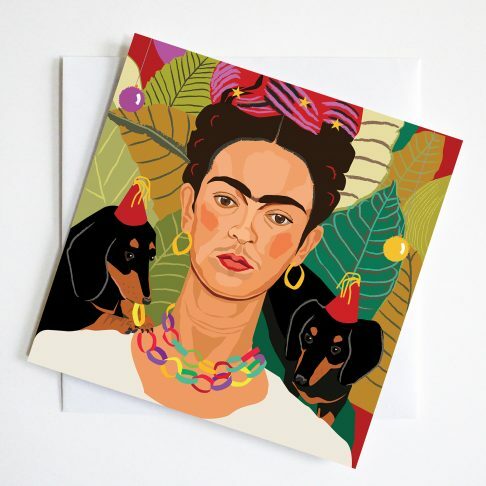 Frida is in a festive mood. 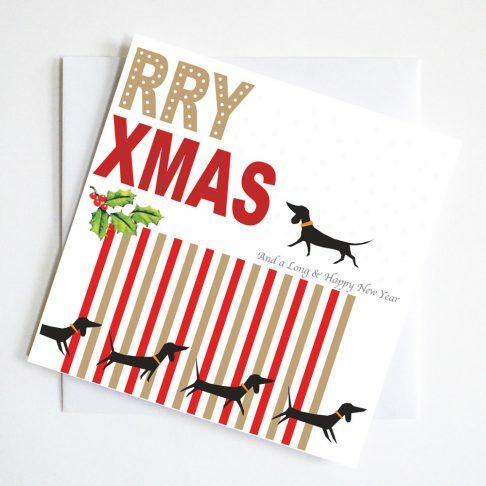 A perfect mix of Art and fun to send greetings to dachshund lovers everywhere. 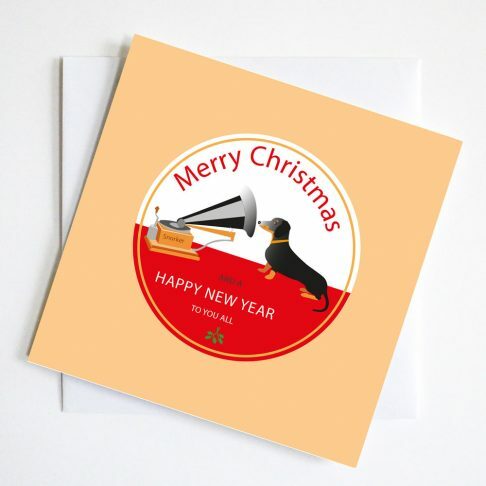 Card size 144 x 144mm each packed in biodegradable cello bag with a white envelope.